I found this square shelf for $.90 at a thrift store years ago and it’s hung on my wall for a while. I’ve been wanting to do something with it but didn’t know what. The beautiful thing about having your last child is that when he is done with an item (high chair, clothes, etc.) you can get rid of it. No more storing! The only time this is sad is when they outgrow something that you love. There was always something about this crib sheet of my daughter’s that made me happy. 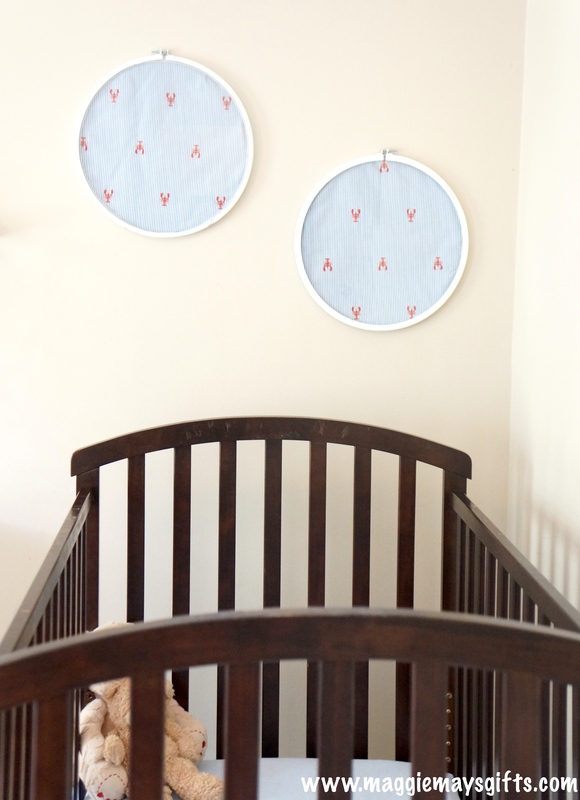 Once she moved from her toddler bed into a twin, it was time to say goodbye. One neat thing about wordpress (or I guess blogs and websites in general) is that you can see what search engine words led people to your website. This can be helpful in learning what topics people are interested in. What I found was the majority of search terms used for my site involved thrift stores and decorating with thrift store items. Since I just so happen to love making over thrift store items, I thought it would be fun to do more of it! I found these little guys at a thrift store and liked them. I don’t cross stitch so I’m not up on the lingo. 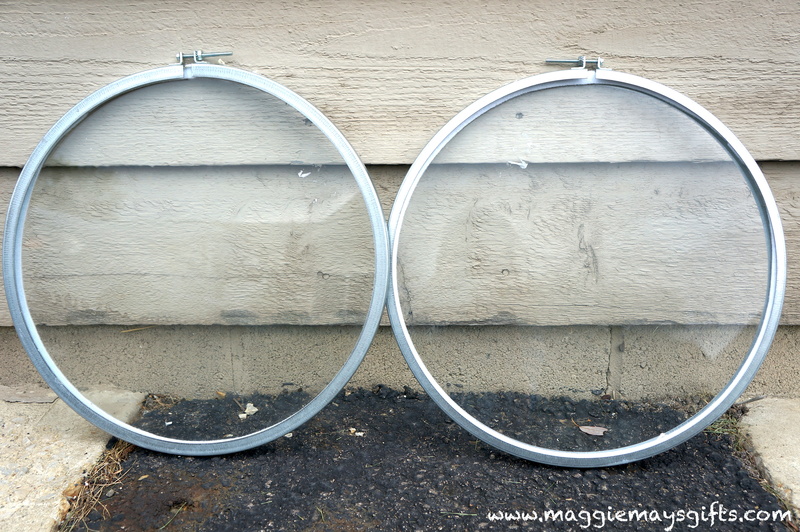 I assumed they were some sort of frames for a cross stictching project since they had glass but all I could find about them is that they are cross stitching hoops. 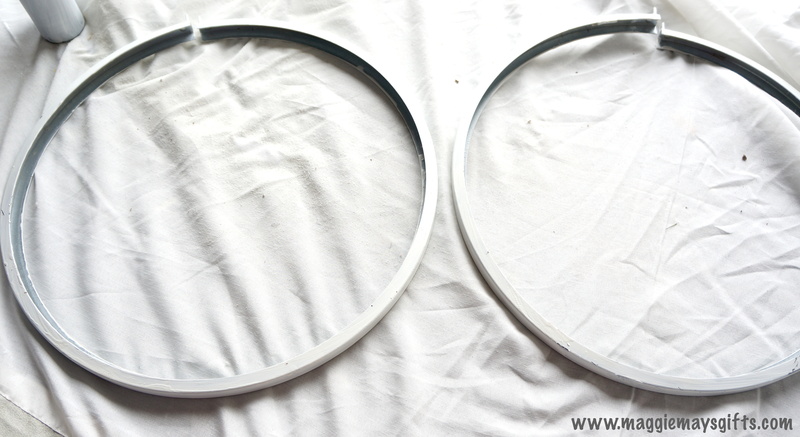 I couldn’t find anything online showing these hoops with glass. If anyone has any idea about these, let me know because now I’m really curious. Most likely they are a rare antique worth millions and now I’m very rich. Despite my windfall, I decided to carry out my project. To begin, I removed the glass and painted the rims white. 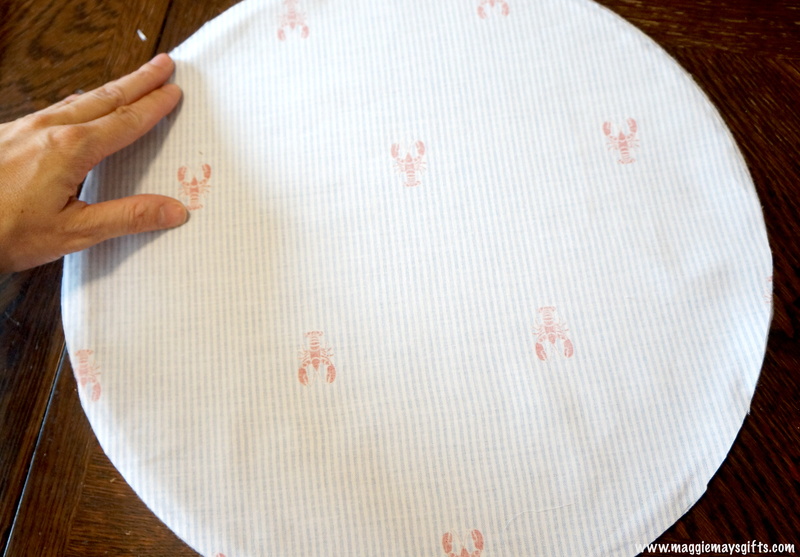 Once that dried, I picked out a fabric (I went with this lobster print) and used the glass to trace the fabric to size. 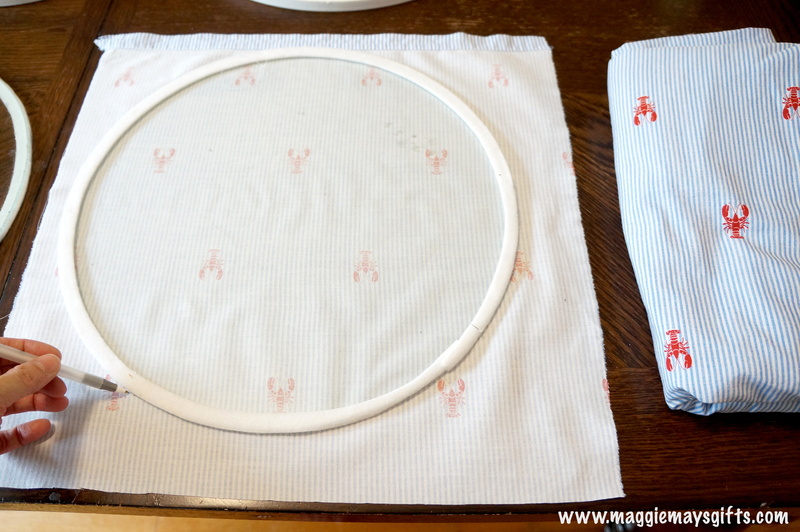 Then I just glued the fabric to the glass with the print side facing out. And put the glass back into the frame and reattached the screw. Then they were ready to hang! They made the perfect decoration over my son’s bed, just in time for summer. For a free, DIY idea to come right to you each week, hit the Follow button now! I shared this on Maggie May’s Facebook page, but I thought I would share it here since you still have time to make a Love Wall. 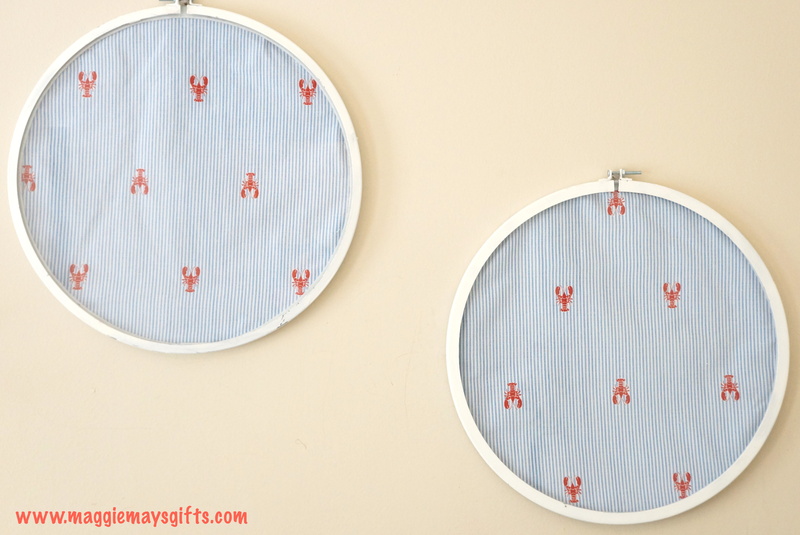 Next, gather some frames you may have around your house or in storage and dust them off. 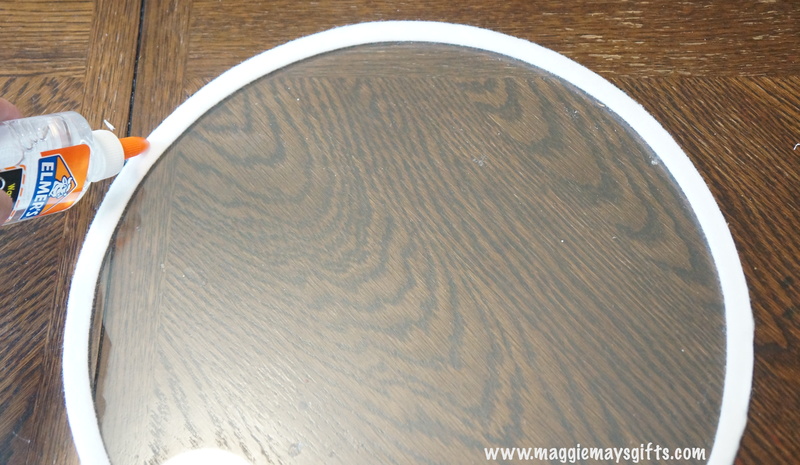 This project is a great example of why it’s a good idea to hang onto frames even if the glass is broken. Here is where you can just get creative. Leave the glass in or out depending on what you are putting inside. For three dimensional pieces, take the glass out and you can do whatever you want. For this XO piece I made the X out of cardboard and the O out of buttons. For this one I attached card stock letters (one glittery one) with fishing line so it would hang flat. This heart was made with the leaves of a Eucalyptus branch. I recently shared a more detailed tutorial on this one here. If you have any leftover holiday ornaments, you may find one that you can use this way. 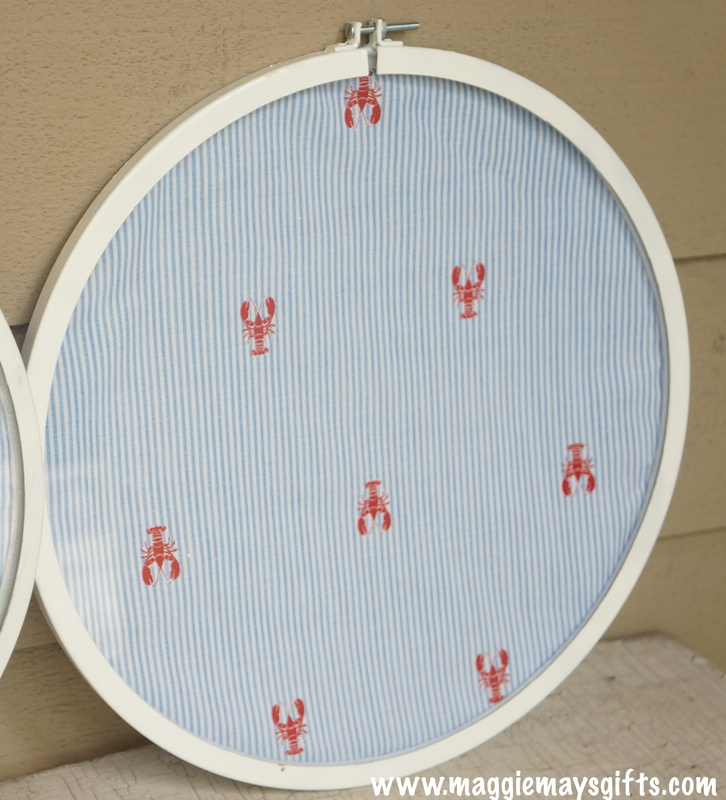 Just hang inside a glass-less frame with fishing line. This one is nice if you want to keep the glass in because it’s flat. Once you get all your frames done, play around with the layout and hang them on a lonely wall in your home. These are on display at Starbucks right now, so here is the display there.